Check out what happened over the holidays with all of our kids! The Holidays were a hit at the clubs! Each clubhouse transformed into a winter wonderland complete with interactive Christmas tree decorating, making themed art work, even cookie decorating! Throughout the month of December, kids were able to write letters to Santa at the North Pole and local groups like Bike Buddies, donated tons of toys to put under the Christmas tree. Santa made sure to stop by the Clubs, thanks to the help of John’s Automotive Care and Santa’s elves! Santa and John brought heaps of toys for the kids to open and share with one another; Christmas truly is the best time the year! The Junior Seau Foundation granted 5 lucky Club kids to participate in the “Shop with a Jock” program where they can use their $100 allowance on their families or themselves to shop for Christmas. Overall, it was a success, all of our kids have such big hearts and have a great time with the athletes. We have some very talented, young artists at the Clubs. Check out all of these gifted kids on Facebook! These fine pieces of art work get submitted into Boys & Girls Clubs of America National Fine Art Exhibit. Cross your fingers! A few years ago, one of our kids came in 3rd place! This year, there is so many fantastic pieces, someone is bound to win. We are also holding a vote on Facebook, so cast your vote now! In case you missed out, Diamond Creations by Ramona had a lovely Holiday event with tons of items on sale for shoppers to enjoy. 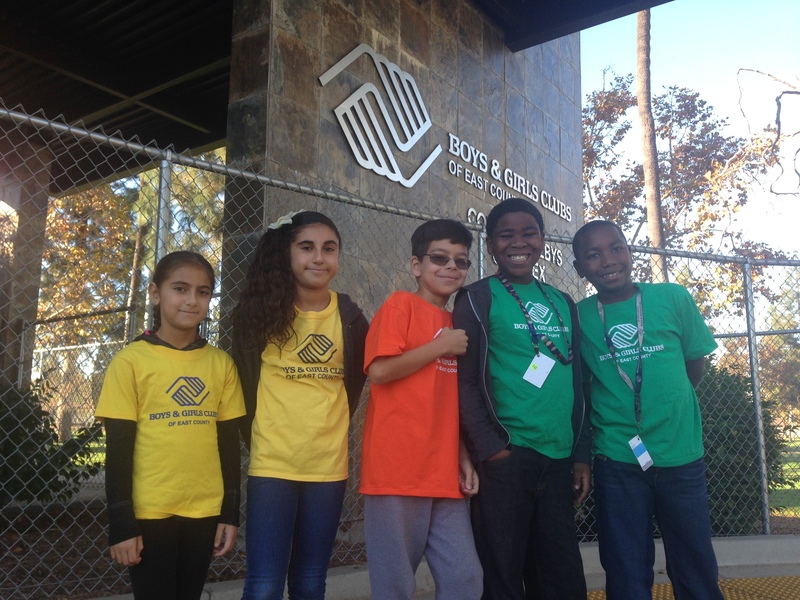 Ramona hosted a raffle to benefit the Boys & Girls Clubs of East County during her holiday event… thanks Ramona! Congratulations to their local mail man for winning the beautiful diamond necklace!